Daffodil Design - Calgary Design and Lifestyle Blog: holiday traditions. we spent the last warm day hanging garland and white lights on our porch this afternoon. and H and i have been rooting through our decoration bins all weekend! we'll also be hosting our first Christmas dinner in our new home... i can hardly wait! as kids grow, holidays become more and more fun. 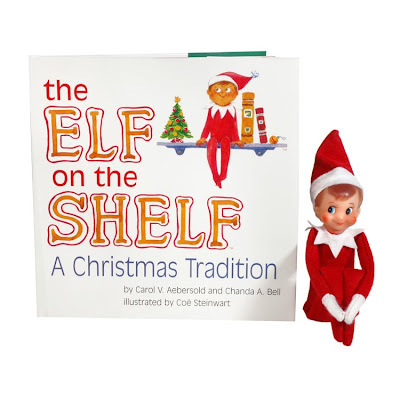 what better a way to ensure good behavior for santa than an elf-spy who moves each night to a new spot. i know H will get a kick out of this and it'll be fun for us too! this isn't a new tradition in our family, but it will be for our sweet hazel. each year, our girls open a new pair of jammies on the eve of their birthday & christmas... along with a new storybook. 5. sweets & goodies galore. H has a mini obsession with gingerbread men right now... or "cookie mans" as she likes to call them. building a gingerbread house is on our list along with so many other holiday goodies i want to bake & make for us and our neighbors.